Brother and sister team, Jason and Chrystal Ridgeway, understand a little something about striving for excellence. Both top athletes in college, the pair wanted to come back to their community and support other rising stars. Jason: We started off doing seminars we went out and spoke to kids high school and college kids about how to stay in school graduate if they received a scholarship how to retain it. Mitch: And nowhere in that process did you talk about food. Mitch: And then all of a sudden you saw something that changed your mind. Chrystal: We were at one of our schools and the kids were pretty lethargic so we started talking to the teachers and the counselors and we said what’s going on and they said well they are waiting for lunch. A lot of the kids don’t eat breakfast so I talked to Jason I said we are giving them skills to handle social situations but let’s give them the skills to make good decisions about their diet as well. 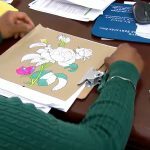 Grow Green, Live Clean is their newest initiative. Their goal is to educate and provide access to nutrient dense foods through self-contained tower gardens. Chrystal: And many of the kids never correlate what they eat with what is grown and I asked them well what is in a salad and they go ranch dressing. To get them thinking differently, the students grow and harvest collard greens, mustard greens, herbs and salad greens like spinach and romaine. They even make their own salad dressing. Jason: We want to feed the kids you know mind body and soul. We want to make well-rounded young people that can go off go to college and go to get a trade and then come back and give back the same way that we’re doing. 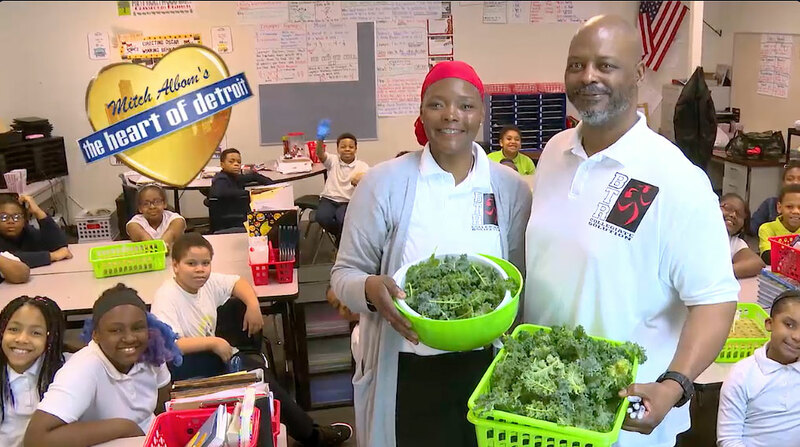 Harvesting good decision making, Jason and Chrystal Ridgeway are providing a healthier future here in the heart of Detroit.